Now you can rotate the board to get a better view! Tile Lock Scrabble features the "bigger, better" game play of super scrabblewith the innovative tile "Lock" design to hold your tiles firmly in place onthe game board. Now, you can rotate the board and angle it to get a betterview. The game board provides 441 letter spaces, 4 plastic tile racks,drawstring tile storage bag and illustrated instructions. More spaces, moretiles, more points. Better than ever. 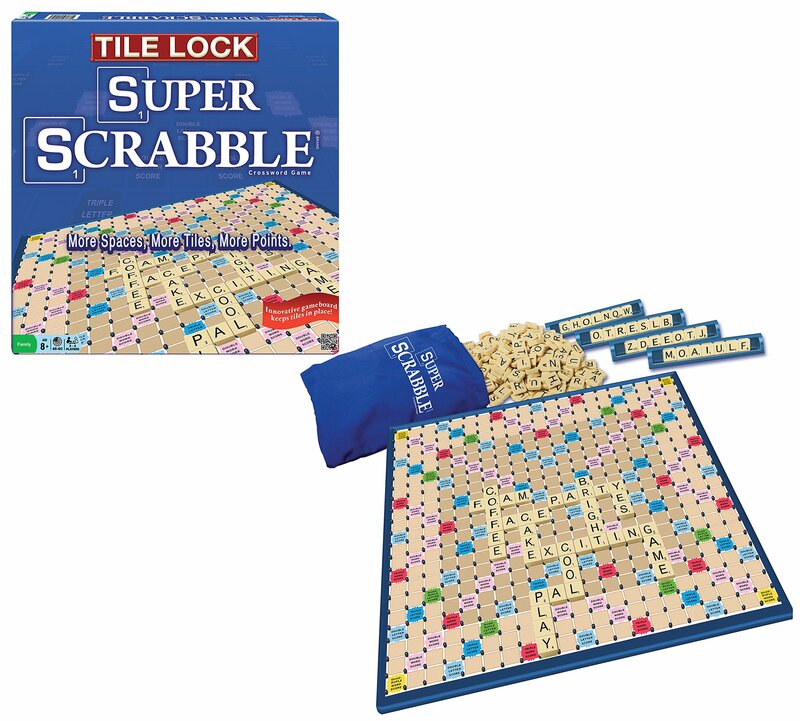 From the Manufacturer Tile Lock Scrabble features the "bigger, better" game play of super scrabblewith the innovative tile "Lock" design to hold your tiles firmly in place onthe game board. Now, you can rotate the board and angle it to get a betterview. The game board provides 441 letter spaces, 4 plastic tile racks,drawstring tile storage bag and illustrated instructions. More spaces, moretiles, more points. Better than ever. 500 Water Balloons. Assorted Colors. Includes 2 Easy To Use Fillers. Bombs Aw..